Forever Wild Press began with the realisation that mainstream publishers were not interested in nurturing nature and wilderness writing in Australia. So I decided to do it myself. Blue Rivers A Narrative of Time in the Blue Mountains was the result - a meditation on the fascination and power of one particular landscape - The Blue Mountains and the rivers that they shelter. Landscapes are four dimensional places and the fourth dimension - Time - lies heavily on the Blue Mountains. I wanted to explore this dimension as much as the other three and so a small part of Blue Rivers is devoted to the vast span of their geological history and the much shorter human history of European exploration since 1788. My research into this latter subject revealed to me just how much it had been ignored by historians and to what extent people's imagination and knowledge of it had been hijacked by the journey of Blaxland, Lawson and Wentworth. Nobody it seemed knew about the journeys of Francis Barrallier, George Caley, Mathew Everingham, John Wilson, William Parr, Sir John Jamison, Thomas Jones or Charles Throsby. And so I promised myself that I would do something to bring their work and the broader history of early exploration of the Blue Mountains into the light. 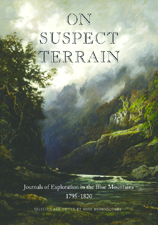 The result is On Suspect Terrain: Journals of Exploration in the Blue Mountains. While doing this research I walked the same country and saw the same things as the early explorers. In my note book I would jot down impressions, personal reminders of the wonder and beauty of the places. Things like the finding of a carving on a high sandstone shelf above the Macdonald River or the look of wonder on my son's face as he explored a dark, shady creek near Mount Wilson. 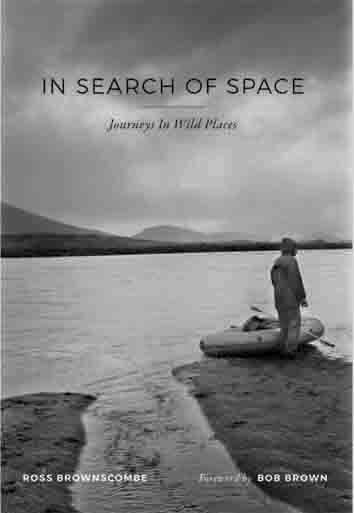 These and many other things found their way into some essays that have finally become In Search of Space - Journeys In Wild Places. Buy on-line (AUD$45.00 including postage/handling). '... a very significant contribution to nature writing here in Australia. Its a brilliant bit of work.' Cam Walker, Friends Of the Earth, June, 2018. Buy on-line (AUD$50.00 including postage/handling). Buy on-line (AUD$15.00 including postage/handling). The author can be reached at fwp@tpg.com.au.